What is independent or self-selected reading? Self Selected Reading is a time for students to explore and read books independently at their own level. The goal of self-directed reading is to create authentic opportunities for students to see themselves as competent and engaged readers. The teacher reads aloud to the students from a wide variety of literature, text forms, and technologies. Don’t always have to read the whole book! The teacher assists students in learning how to find books of interest and use strategies and technologies to read and share more independently. Books in the classroom library may include books related to curriculum being studied, wordless picture books, predictable books, comics, student- or teacher-authored books, and books available online. While the students read, the teacher conferences with students to observe and provide support that some students will require to grow in their independent reading. Some students may have communication and learning differences that make the talking about text difficult and require extra support to do so. Which students would benefit from self-selected reading? All students can benefit from self-selected reading! How can students benefit from self-selected reading? create an enjoyment for reading. How can we support self-selected reading? Are you doing teacher read alouds as well as having DEAR (drop everything and read) time? Do you have a “reader’s chair” time for students to share about a book they have read each week? Do you have a spot in the writing block for students to do book reviews? Have you picked age respectful early books for older readers? Are you using different technologies e.g. printed books, eBooks? Have you ensured that every student has access to books? 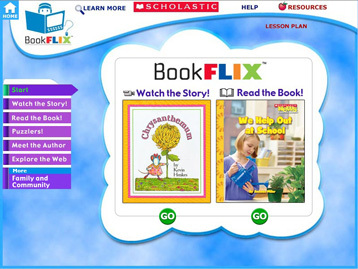 Book Flix is available at no cost through the Online Reference Center at Learn Alberta for Alberta schools. Use this resource to access interactive fiction and non-fiction books organized according to the following themes: Animals and Nature, Earth and Sky, People and Places; ABC’s and 1,2, 3’s, Family and Community, Music and Rhyme, Adventure, Celebrations, and Imagination. TrueFlix is available at no cost through the Online Reference Center at Learn Alberta for Alberta schools. Use this resource to access videos and interactive non-fiction books organized according to the following categories: Earth Science, Ecosystems, Experiments, Extreme Nature, Human Body, Space, Ancient Civilizations, Continents and Disasters. Related Grolier Online articles, project ideas, quizzes and web links are provided. 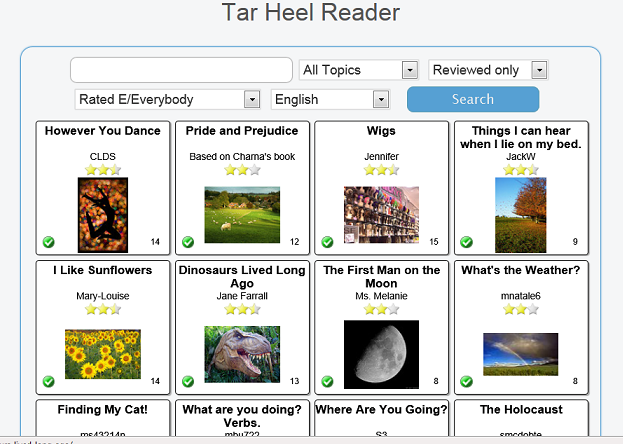 Where can I learn more about self-selected reading? This presentation looks at how to build a classroom library and explores different ways to access and create engaging and age-respectful books for students with significant disabilities.